A man of deep convictions and a tender love of the Lord, Reverend W. Dale Aaron devoted his life to serving the Lord by serving others. He accomplished so many things of which to be proud, but his greatest source of pride and joy was found in his family. He was an active member of the community he loved and made many wonderful friendships over the years. Although he will be deeply missed, Dale leaves behind countless memories to touch the lives of his loved ones forever. Looking back on the 1930s, it is difficult to recall much of anything that wasn’t affected by the Great Depression. There were few jobs and a soaring unemployment rate that left countless American families without homes. Despite these tough times, G.W. and Lola Maurine Aaron (nee Sistrunk) celebrated with great joy the arrival of their newborn baby boy, Dale on April 8, 1935, in Deadwood, Texas. Born the younger brother to his sister, Ann, his birth brought his parents much happiness and promise. Growing up, his father was in the logging business and his mother was a wonderful homemaker. Life became more challenging with the death of his mother when he was three years old. Close to his sister, Ann, he was often required to accompany her on dates. Ann was known to drop him off and pick him up later after the date! 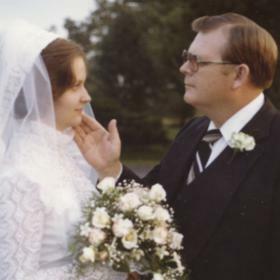 Dale discovered a deep relationship with Jesus Christ at the tender age of fifteen when he was baptized in the precious name of Jesus and was filled with the gift of the Holy Ghost, at the old country church.  From that very moment, he dedicated his life to serving the Lord. An excellent athlete, Dale enjoyed playing second base in a men’s community league at the age of sixteen. Graduating from Carthage Texas High School, he went on to attend Apostolic Bible Institute in St. Paul, Minnesota. He enjoyed his time there and made many lasting friendships. Not to be forgotten was the meeting of Betty B. Wasco, a fellow student, who would steal Dale’s heart at first glance! 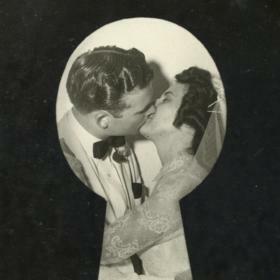 The two of them were quite smitten with one another and romance grew and they joined in marriage on Saturday, August 6, 1955. Apostolic Church in River Falls was the perfect setting where Betty’s father, M.S. Wasco officiated the ceremony sending them off with the very best of wishes and blessings for a lifetime of happiness. Soon after, Dale received his first call to be a pastor. 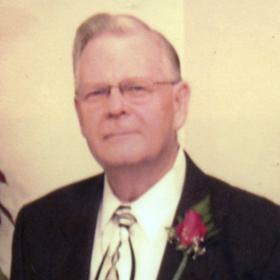 His professional career of pastorate included several church communities throughout the states of Arkansas, Wisconsin and Minnesota. Starting out in Crosset, Arkansas and followed by Cochrane, Wisconsin, and Winona, Minnesota. 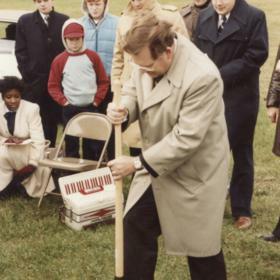 Later, he transferred to several churches throughout Wisconsin including River Falls, Superior, Milwaukee, and Sheboygan, Wisconsin before he retired as pastorate in Hartford, Wisconsin. Always looking for ways to be a good steward, Dale also earned an accounting degree during these years. Dale’s exceptional attention to detail and his willingness to teach others made for many years of helping home mission works and other churches establish good accounting practices. Dale would say, "Render unto Caesar what is Caesar's and not a dime more." He had such a love of his role as a pastor, that he eagerly mentored young men, some entering the field as pastors. Dale truly lived his passion, of serving his Lord and teaching His Word. 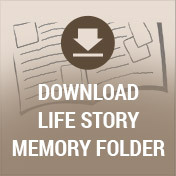 Dale’s life was richly blessed in his many years of pastoring, yet his family was important to him. He and Betty were blessed with two wonderful children, Melonee and Stan during their wonderful years together. As a father, he treasured spending time with them and teaching them the foundations of his faith. He was delighted with their many accomplishments, and was especially proud of Stan’s military service. As much as he loved his role as a father, he was overjoyed when the family grew to include Stan's wife Kari and Melone's husband Dan as well as his five grandchildren; Tyler, Brent, Chase, Andrew and Anthony and his three great-grandchildren; Meghan, Emma, and Lincoln. Dale took the time to enjoy the simple things in life. He loved to fish, he tried golf, that was not his favorite and he liked to ride horses., up until an accident . 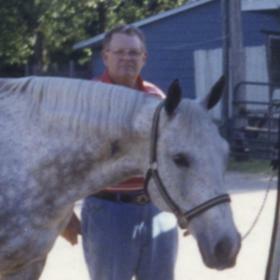 Dale survived a serious horse accident in 1992, when a large horse landed on his right leg pushing it up past his hip socket. He and Betty were grateful to their special friends, Pastor and Sister Grant who helped them during the long recovery towards healing. Any chance Dale had, he enjoyed watching his grandson’s play football and baseball, the sport he cherished from his childhood. He’d often take in local games as well, never missing an opportunity to watch the players give their all to win a game. A lover of music, he treasured listening to the beautiful singing voices of many parishioners over the years. Generous beyond measure, he would often compliment them wishing he had a voice nearly as good as theirs. Dale’s legacy will be his love of God and love of all people. He was accepting and shared unconditional compassion for so many. As a pastor, he touched countless lives over the years and his ministry will forever be remembered as deeply devotional and dedicated to the communities he served. Sadly, he passed away and will be greatly missed and lovingly remembered by his special family and close friends.The impact on the lives of those he touched will be felt for generations to come. The half of which has never yet been told.